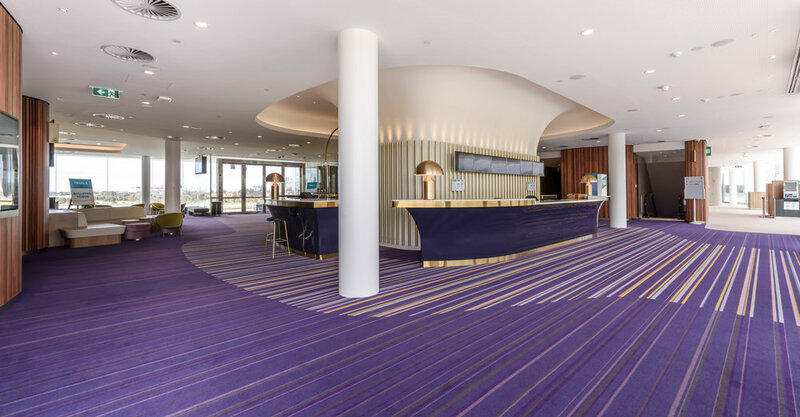 Bluegrass Bar is a glamourous change of pace, offering spectacular cocktails and imaginative new drinks in a vibrantly theatrical space. 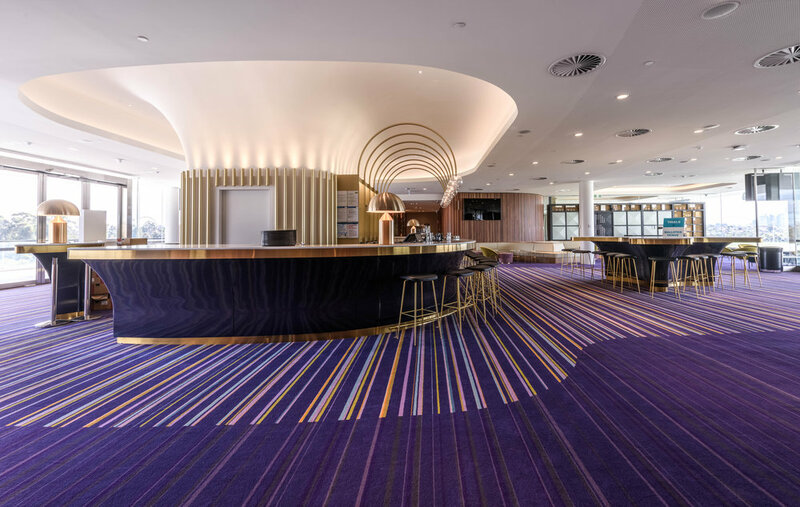 The centrepiece sculptural bar unifies the room; it’s harmonised deep purple and gold tones highlight the exuberant pastels of the carpet stripes. 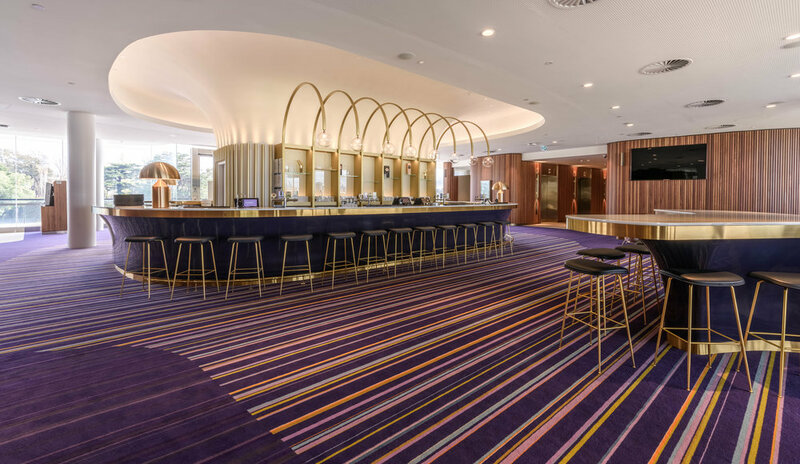 The bar’s gentle curves are replicated in the edging of the carpet as it softly defines seated space, and then again in the brass art-deco arced light features. 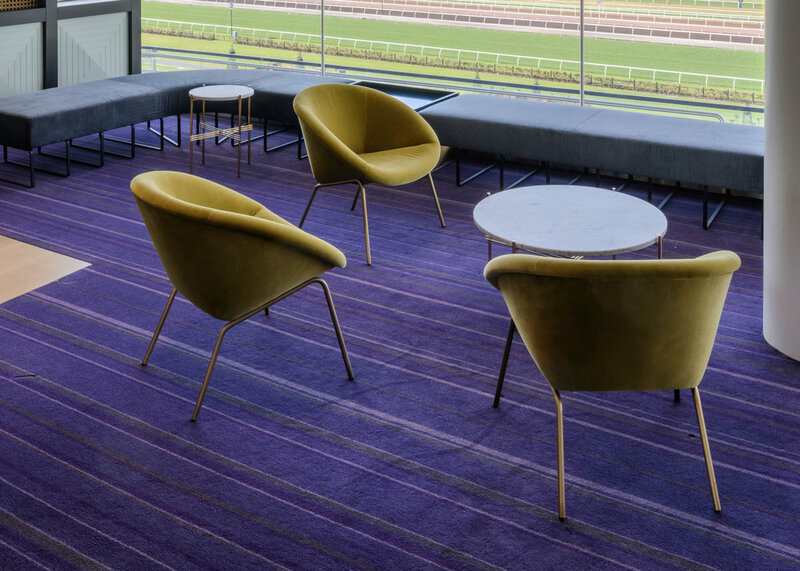 The elements of the space are high-energy and bold, but together they settle into a luxurious space that embodies the essence of the Spring Racing Carnival.